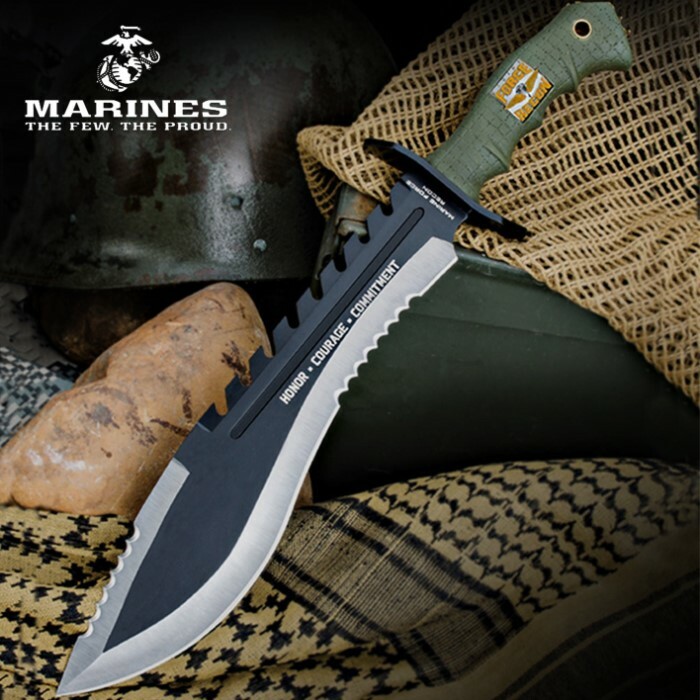 A tribute to the Marines, this battle-ready bowie is designed to quickly overtake and conquer whatever comes its way. Massive, this piece measures 16 1/2 in. overall and is packing an 11 1/2 in. 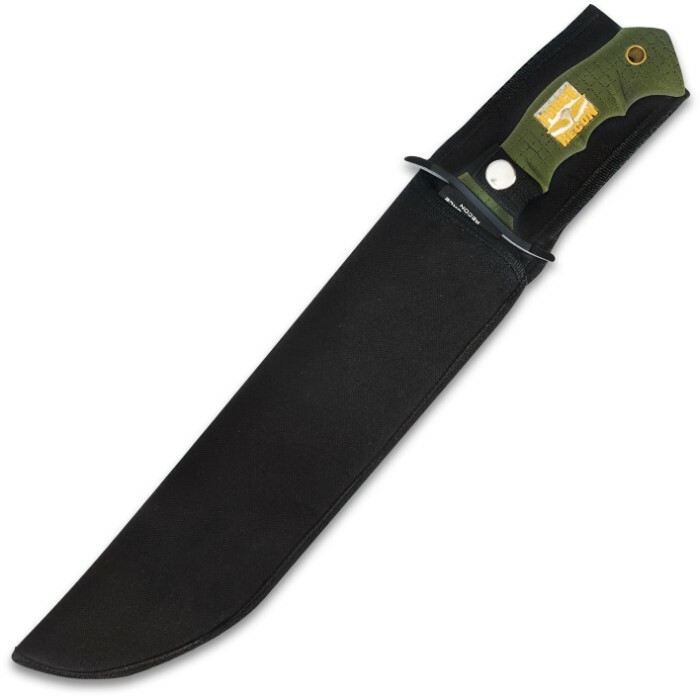 blade. 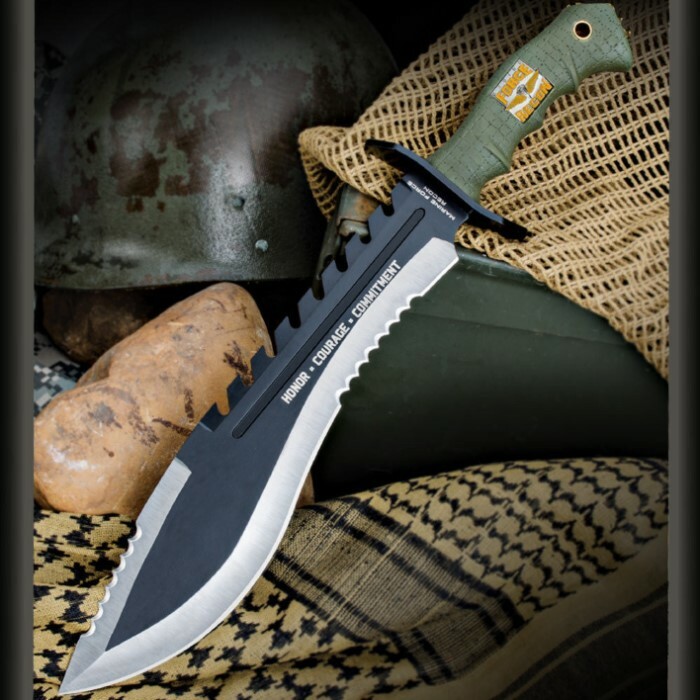 The blade is forged using AUS-6 Stainless Steel, has a two-tone finish, and comes partially serrated.